We would love to get your recommendations. Send them our way! 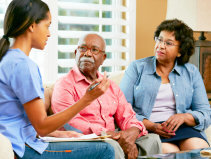 Trust Surpassion Healthcare Services, Inc. in Fredericksburg, Virginia for Home Healthcare services, tailored to your needs. With over 46 years of experience, our care team provides quality and personal care services to ensure you or a loved one receives the care they deserve, you are family. 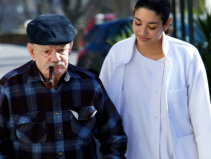 When you require companionship or the assistance of an Home Health Aide to help with your activities of daily living, Surpassion Healthcare Services, Inc. serves nothing but the highest quality, comprehensive care to special needs and disabled individuals throughout the area, including the elderly, veterans and their families. 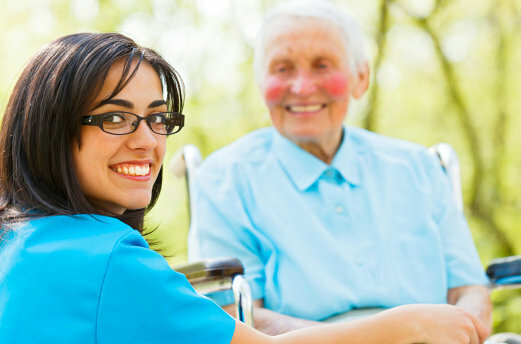 Finding the ideal agency for the Home Healthcare services you require is a burdensome, time-consuming process. Allow our care team to guide you through, so you can focus on you. In addition to warmhearted Home Healthcare services, we will also help you find various federal, state, local, and private agencies and organizations for more information! "I have been with Surpassion Healthcare Services since 2012. They are like my family! This is a small, family run business that takes the care and time to walk clients through the very complicated and confusing waiver process. They screen and select their Personal Care Attendants as if they were caring for their own family members. The services have been invaluable to me because I am a single working mom of a son with special needs and needed help to coordinate his numerous therapy appointments, medical providers, school, transportation, providers, and social activities. Surpassion follows up monthly to ensure the services provided are to our satisfaction. My son functions very well now and is on his way to living a healthy and productive life. I owe many thanks to Surpassion Healthcare and their team of PCAs." "For over two years, Surpassion Healthcare Services has been an invaluable partner assisting with the personal attendant care needs of my special needs child. Despite our unique and at times challenging family circumstances, Surpassion has always put the needs of my child first. Surpassion goes the "extra mile" to make sure my child's needs are being met, such as arranging client conferences to find out the specific needs of my child at every stage of transition, home visits, and attending meetings for related services. For personalized attendant care and attention for a child with special needs, I would definitely recommend Surpassion Healthcare Services." 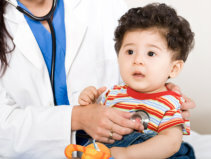 It is with pleasure and enthusiasm that I recommend Surpassion Healthcare Services, Inc. I have been a client with Surpassion since their beginning, and have never had the desire to go elsewhere. I have found the owners and staff of Surpassion Healthcare to be, not only courteous and professional, but compassionate and caring. From the moment my family and I were blessed to become their clients, they have treated us like family by going beyond the call of duty. They patiently helped us navigate the complicated system of applying for, and receiving, services for more than one disabled person in our family. In fact, our family is thriving due to the kind and caring way they have held our hands and walked us step by step through the process of getting the services we so desperately needed. Before becoming part of the Surpassion family, I had experienced several service facilitating agencies, and none of them had come close to giving the outstanding service and care we have received from Surpassion Health Care Services, Inc.
We have the peace of mind of knowing that, whatever challenges we may face in the future, Surpassion will be there to help. We cannot imagine managing our healthcare advocacy needs without them. Our services can cater to children and adults with special needs, intellectually disabled, or physically challenged, those suffering from disorientation and anyone who could use the assistance of a trained professional at home.